Carefree is located in the northeast corner of the Valley of the Sun. Just 15 miles to North Scottsdale and 35 miles from the center of Phoenix, Carefree provides a convenient gateway to a myriad of activities. Whether one is interested in the great outdoors or something less adventurous, one will find something to meet his or her fancy in the immediate area. Phoenix is listed as the sunniest city in the country, with more then 85% of the days being under sunny skies. The activities listed on this page are pretty much year round activities with very few rain days. Please explore the links to the right to see some of the favorites in the area. Ballooning – Due to the relatively cooler mornings, balloon launches are often done in the early morning hours just after sunrise. 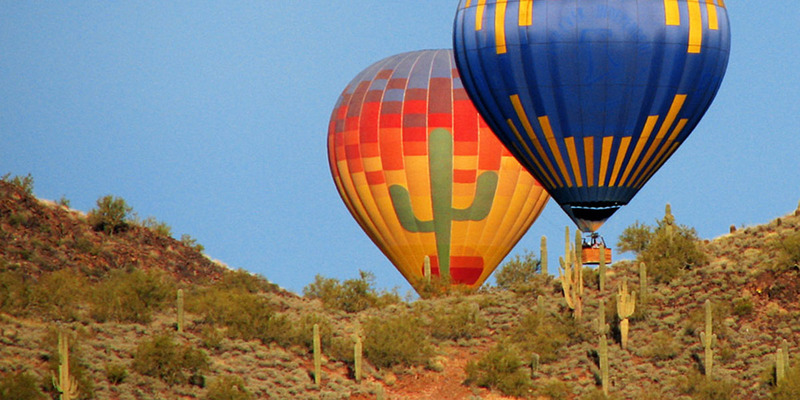 It is not unusual to see a dozen hot air balloons ascending over the desert to the west of SkyRanch at Carefree. Bicycling – The area is very popular with both road and mountain bike enthusiasts. There are number of road biking clubs that use the areas in and around Carefree. 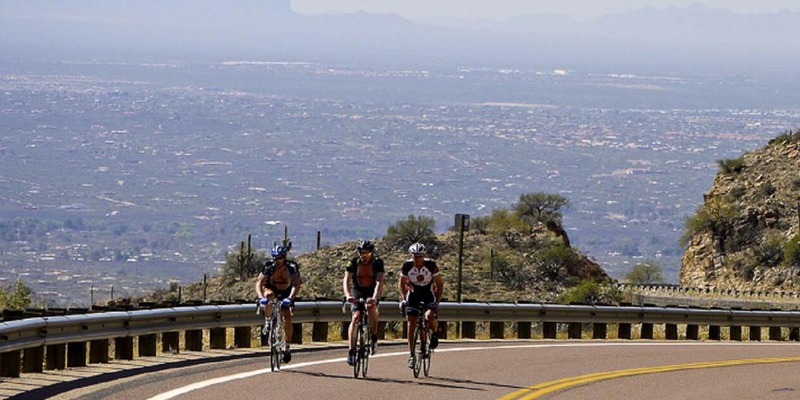 On any Saturday or Sunday of the year, 100s of bicyclists will pass through the towns of Carefree, Cave Creek and North Scottsdale. There are many mountain biking trails in the area that take you away from the hustle and bustle of it all. Just watch out for the rattlesnakes! 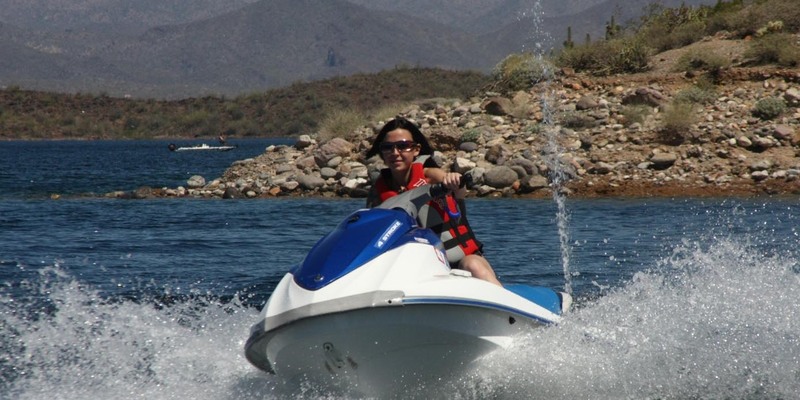 Boating – It is hard to believe that boating would be such a popular activity in the middle of the Sonoran Desert, but it is and there are many opportunities to enjoy a day on the Lake. The two closest venues are the Bartlett Reservoir and Lake Pleasant. One can enjoy a picnic, go watersking, fishing and so much more on the lakes. A little further down the road, enjoy Saguaro Lake, Canyon Lake, Apache Lake and Roosevelt Lake. 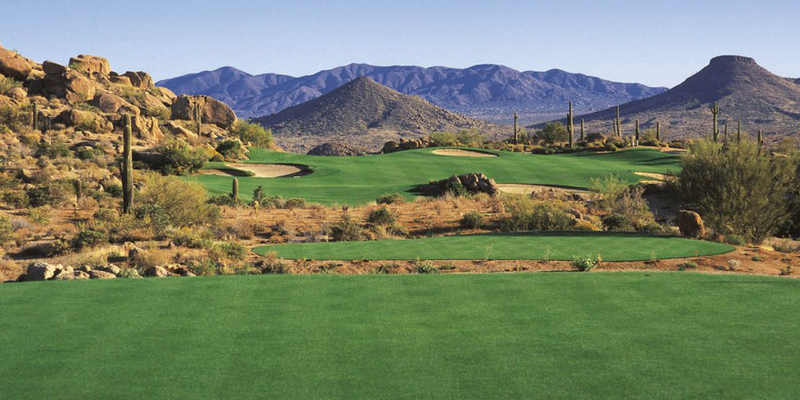 Golf – It has been said that the Phoenix area has 365 golf courses, one for each day of the year. 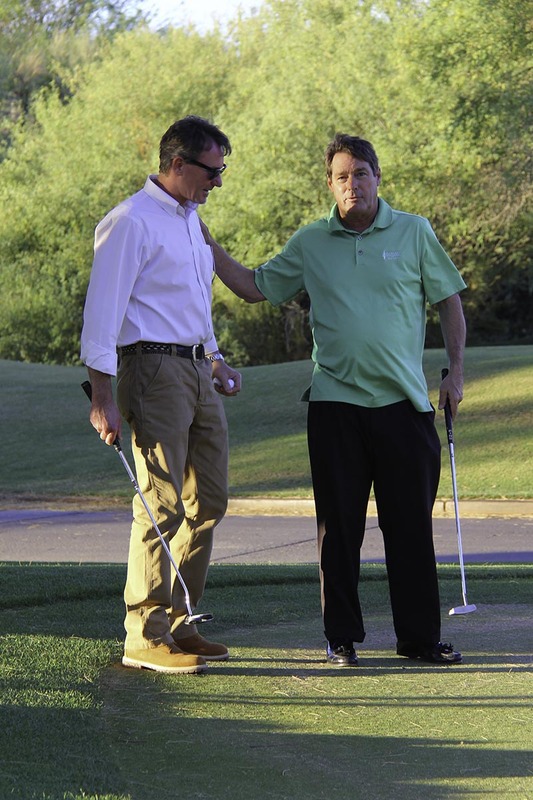 As an avid golfer, you will not find a shortage of challenging courses in the area. Rancho Mañana Golf Club is the closet public course for transient guests. However, if you settle in the area you may be interested in Desert Forest Golf Club or the six golf courses of Desert Mountain. Hiking – The Sonoran Desert is a unique environment and what better way to see it than to look at it up close and personal. Of course you might run across the occasional rattlesnake or gila monster, but what you are more likely to see is the plethora of desert plants and depending on the time of year the colors and flowers they display. Several hiking areas are a stone’s throw distance from Carefree, with many more not more than 30 minutes drive away. 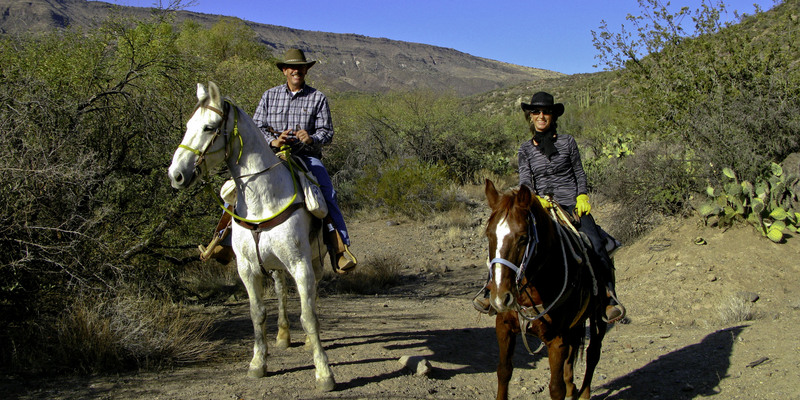 Horseback Riding – As with the hiking, seeing the desert from horseback is equally gratifying. 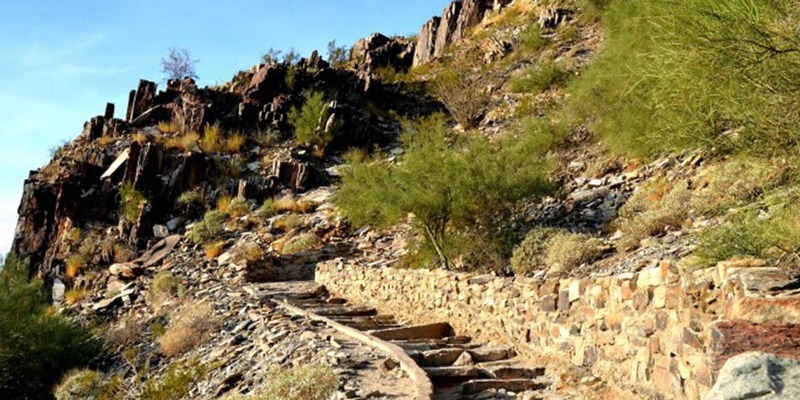 You can cover more distance and take you to some of the wilderness areas that encompass the nearly 3 million acres of the Tonto National Forest. Areas that are not accessible by motorized vehicles. 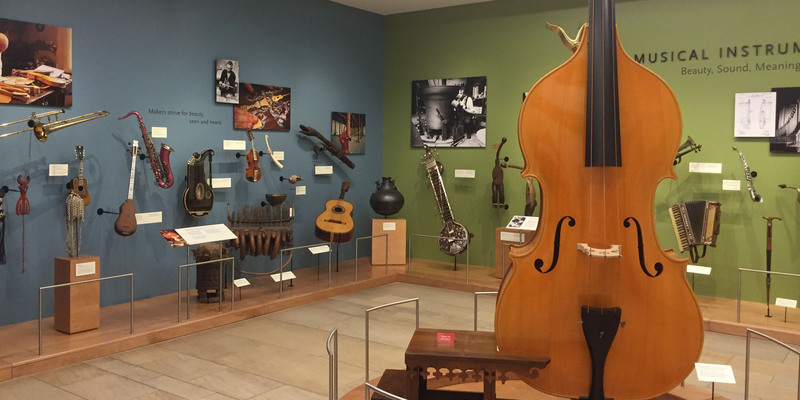 Museum & the Arts – While Arizona is known for being the Wild West, those seeking more cultural activities may find many interesting venues around the corner. Phoenix also has a symphony, opera, ballet, science center and much more. Do not forget to visit the Cave Creek Museum just around the corner from SkyRanch at Carefree.